Central Texas College appears in our ranking of the 10 Best Online Colleges for an Associate’s Degree in Hospitality. 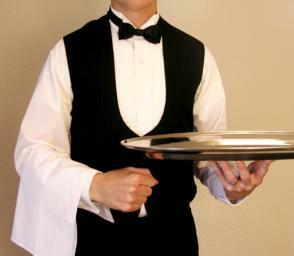 Hospitality management is a field of study that prepares students for managing restaurants, hotels, and attractions within this industry. Central Texas College offers an Associate of Applied Science (AAS) in several fields such as hotel management. Designed for those who want to run hotels and lodges, it includes 60 credits of courses. Those courses include Introduction to the Hospitality Industry, Hospitality Facilities Management, Hospitality Legal Issues, and Guest Room Management. Students can also earn an AAS degree with a specialization in baking and pastry arts, culinary arts, food and beverage management or restaurant and culinary management. Those with an interest in food and beverage management can gain some experience working in the cafe that the college owns and operates. One-year certificate programs are also available that include up to 30 credits. Both the college’s food and beverage management and its rooms division programs are available online. The rooms division program teaches students how to operate hotels and take care of guests’ needs. It includes courses such as Front Office Procedures, Hospitality Supervision, Guest Room Management and Purchasing for Hospitality Operations. These students must also do a hotel management internship. The college’s food and beverage management program is available online for military students and includes Food and Sanitation, Hospitality Marketing and Sales and similar classes. Central Texas College also offers an advanced certificate program in hospitality property management. Designed for those who want to work in attractions such as lodges and resorts that offer activities for visitors, it includes 30 credits of courses. Hospitality Industry Training, Hospitality Financial Management, and Hospitality Facilities Management are just some of the courses in this program. Students have the choice between doing a final project or an internship. Those who choose the internship option can work in tourist attractions around the Central Texas College and in other parts of the state. The college also offers advanced certificate programs in culinary arts, institutional food service operations, and restaurant operations. 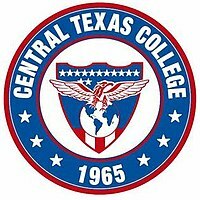 Central Texas College is a large community college that often uses the name CTC. Established in 1965, the college opened after a group of local citizens petitioned the state government to open a new college in Bell County. The government chose Killeen as the site for a new college and gave it the CTC name because it would offer opportunities for all students living in central Texas. Fort Hood donated several hundred acres of land for the new college. It now serves the needs of students living in eight different counties and offers classes for both traditional and military students. CTC offers a number of special programs too. Many of those programs allow military students to take classes that will help them while they’re in the armed forces and after they leave. There is also a program that lets high school students earn college credits and programs designed for inmates in prison. CTC established several campuses overseas in different European cities that allow students to take classes too. Across all of these campuses, Central Texas College has an enrollment of more than 39,000 students, which also includes all its online students. Online students can earn both certificates and degrees from the college. CTC has regional accreditation from the Southern Association of Colleges and Schools (SACS). This gives the college the authority to design its own programs and to provide graduates with degrees or certificate when they complete those requirements. Students can also transfer the credits they earn at CTC into a four-year degree program later because of this type of accreditation. Students with any level of education can sign up to take classes at CTC. The college asks students to go online and complete its application first. Military students can use a separate portal designed for them that also allows them to earn some credit for their military experience. Students can also use the Apply Texas site, which lets them create one account and use the information on that account when applying to CTC and other schools. The college typically requires that students have a high school diploma or a GED. Those who lack either can apply for individual approval via a separate application. Any student applying to the college must take an entrance exam, but the college will waive this requirement for those who meet some prerequisites. The exam essentially helps the college decide whether the student needs to take introductory courses or if the student can take more advanced courses upfront. The accounts that students create allow them to log in and check on their application status and register for courses. They can also use this same account to check on their financial aid packages. CTC requires that any student taking classes on a physical campus submit their immunization records too. Students attending CTC who live in Bell County or a neighboring county qualify for its in-district tuition rate. They pay just $90 per credit hour and can take up to 12 credits for $1,080 per semester. Texas residents who live outside of the district also qualify for a special rate of $113 per credit hour or $1,356 per semester. All other students, including those from outside of Texas and those from other countries, will pay $235 per credit hour. To take a full course load of 12 credits, those students will pay $2,820 each semester. Different forms of financial aid are available from the college for students who need help. The Military Tuition Assistance Program will cover the total cost of attending the college for most students. Another program is available from the Department of Defense for the spouses and dependents of military personnel and provides them with up to $4,000 a year in financial aid. Up to 200 students receive financial aid in the forms of scholarships from the college too. Students must apply to the college and have an Academic Works account to apply for scholarships. The applications for those scholarships become available at the beginning of January every year. CTC also recommends that students apply for government financial aid through the FAFSA. Any student with an interest in studying hospitality management at Central Texas College can apply for scholarships and use those funds with the aid they get from the government.